This week the Builders tied against the top team in the league on Tuesday night pushing them into 4th place in the division. Going down 4-2 with 6 minutes left, the Builders tied the game and then in OT neither team could score. A few notes from this game though. First, the other team passed it around us like we were standing still. We need to improve our passing game. Our next game will be a major test as well because it is against the Black Dragons, a team in 2nd place right now with probably the best goalie in the league. Dekleine Builders is having a tough time in Brass with a 7-3 loss last night. I didn’t have one of my better games but even if I had a great game, we may have only tied that game. The other team just had more than we did and we couldn’t take advantage of our chances. The good news is that we are playing hard and I still have faith in this team over the long haul. 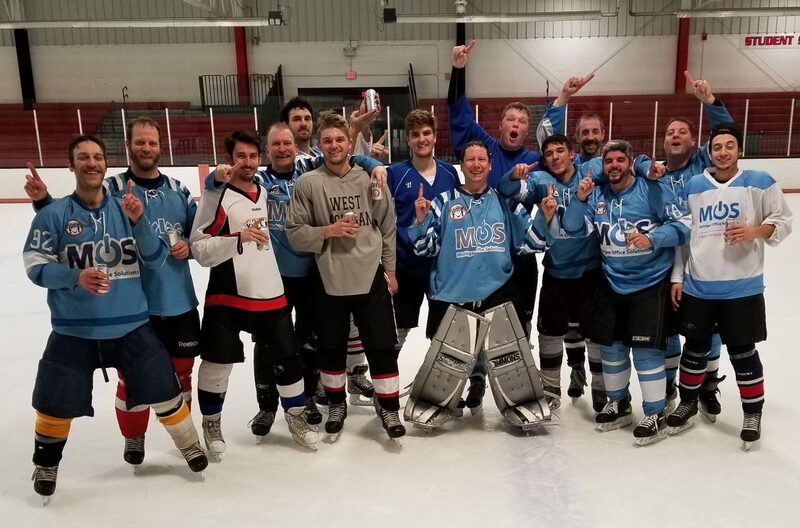 My ice hockey team advanced to the 2nd round of the playoffs with a dominating 8-3 victory. Next game is next week on Wednesday. Which reminds me, I have next week off of rollerhockey. My Sunday team doesn’t play for the next 2 weeks. So I am going to play a total of 1 game in the next 2 weeks. Just one game and that will be my ice hockey playoff game. Talk about a bummer. The rest may do me good though. It will allow me to do other things like spend time with the wife, play some World of Warcraft, and relax.